Ok - I haven't had as much time to craft patches as I'd like (damn kids....) and I didn't get around to posting these last night like I said I would (damn kids...). So....i always try such vox effects to see how well some audio rate filter modulation stuff works but i can´t get there with this app. Maybe because my finger is over half the GUI. I get quite close with Model 14, Zeeon and some other synths which offer OSC´s as modulation source. But this might be still something which hardware can do better? O.K. i got closer....but not quite there. Really nice what´s going on here. 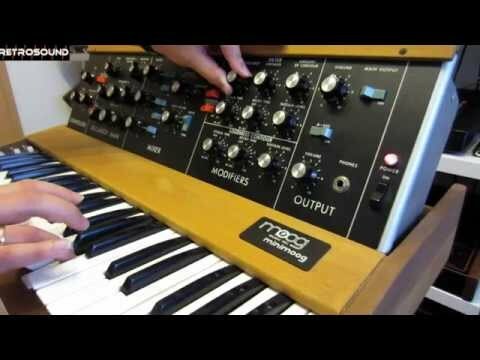 I do wish we would see this with other synths as well. Maybe we can do this again for another synth sometime. Obviously has to be one that is easy to save and combine sounds in a folder like this one. Some save systems are a nightmare to work with. If anyone still on the fence on this synth, please you’ll be sooo sad you didn’t jump on it! It’s magnificent and magical in its own special way! I really recommend Model D Synth! Ok, going to wrap this one up. Thanks for compiling the lot and a Double Salute- SS! to all for sharing your great presets! They really got me inspired! So how do I update to the latest version? Just overwrite what's already there? To delete the old one just long press it and you’ll see the options. Minimoog Model D App v1.0.3 has been approved by Apple and is being propagated through the App Store. The issue where Model D locks up when it's opening presets should be resolved. Please let us know how it goes!